In this tutorial you will learn how to build ViSP framework for Universal Windows Platform (UWP) to include ViSP functionalities in apps developments that target a wide range of devices including PC, mobile, Xbox, HoloLens, IoT, and Surface Hub. This tutorial has been tested on Windows 10 (64 bit), with CMake 3.13.1 and Visual Studio 2015. 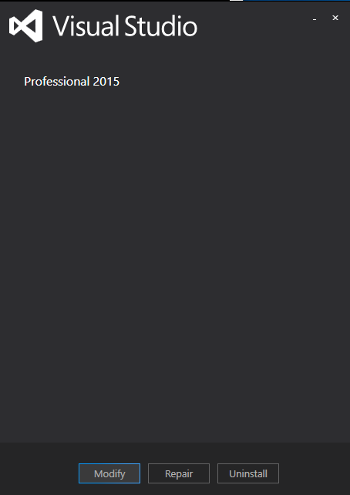 Install Visual Studio 2015. Make sure that the Universal Windows App Development Tools are selected from the optional features list. Without these tools, you won't be able to create your universal apps. 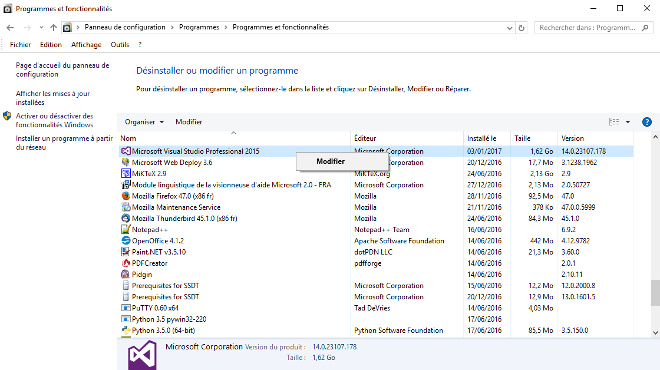 After the installation, start Visual Studio and create an empty C++ project to install the common tools for Visual C++ 2015. If you have already Visual Studio 2015 installed and don't know if the Universal Windows App Development Tools are enabled see How to add Universal Windows App Development Tools support. After installing Visual Studio software, you need to enable your Windows 10 device for development. If everything goes right you will find ViSP libraries and headers in %VISP_WS%/visp-build-vc14-uwp-ws-10-install folder. Libraries are located in x86/vc14/bin subfolder and headers in include subfolder. If everything goes right you will find ViSP libraries and headers in %VISP_WS%/visp-build-vc14-uwp-ws-10-install folder. Libraries are located in x64/vc14/bin subfolder and headers in include subfolder. If everything goes right you will find ViSP libraries and headers in %VISP_WS%/visp-build-vc14-uwp-ws-10-install folder. Libraries are located in ARM/vc14/bin subfolder and headers in include subfolder. If everything goes right you will find ViSP libraries and headers in %VISP_WS%/visp-build-vc14-uwp-ws-8.1-install folder. Libraries are located in x86/vc14/bin subfolder and headers in include subfolder. If everything goes right you will find ViSP libraries and headers in %VISP_WS%/visp-build-vc14-uwp-ws-8.1-install folder. Libraries are located in x64/vc14/bin subfolder and headers in include subfolder. If everything goes right you will find ViSP libraries and headers in %VISP_WS%/visp-build-vc14-uwp-ws-8.1-install folder. Libraries are located in ARM/vc14/bin subfolder and headers in include subfolder. If everything goes right you will find ViSP libraries and headers in %VISP_WS%/visp-build-vc14-uwp-wp-8.1-install folder. Libraries are located in x86/vc14/bin subfolder and headers in include subfolder. If everything goes right you will find ViSP libraries and headers in %VISP_WS%/visp-build-vc14-uwp-wp-8.1-install folder. Libraries are located in x64/vc14/bin subfolder and headers in include subfolder. If everything goes right you will find ViSP libraries and headers in %VISP_WS%/visp-build-vc14-uwp-wp-8.1-install folder. Libraries are located in ARM/vc14/bin subfolder and headers in include subfolder. 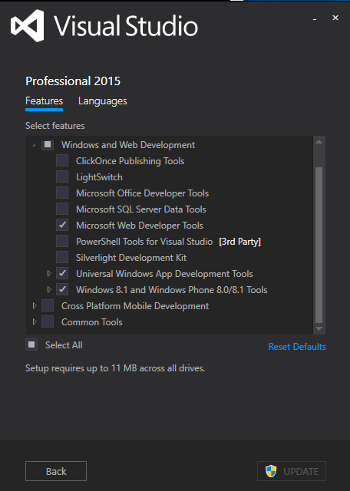 Enable "Universal Windows App Development Tools" and "Windows 8.1 and Windows Phone 8.0/8.1 Tools"